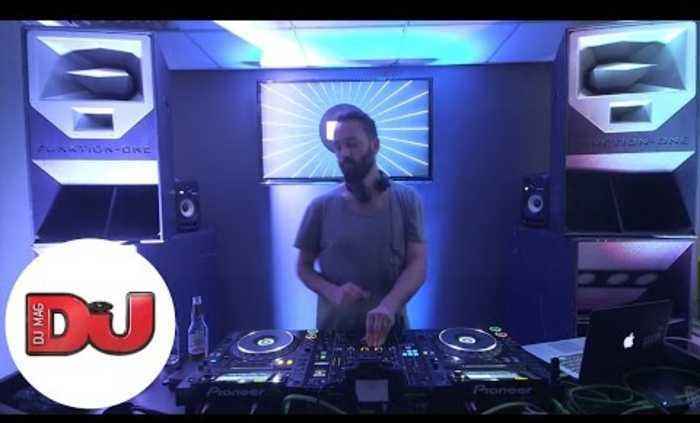 Subscribe to DJ Mag TV: http://bit.ly/Oduqwo See Jonas at Phonox in London tomorrow: http://bit.ly/all_night_long / http://elements-series.com Since being declared a ‘Future Star of 2013’ by BBC Radio 1’s key dance gatekeeper, Pete Tong, Jonas Rathsman has gone on to exceed all expectations with a string of first class releases, remixes and an undoubted ability to work a dancefloor. Born and raised in a small village in Western Sweden, Rathsman furthered his passion for music at the age of 18 when he began organising parties at numerous clubs in Gothenburg and quickly rose through the underground hierarchy of Sweden´s second largest city. Together with his close friend Fredrik Nyberg, aka DJ NIBC, they started releasing material under the alias Stuffa, which come to a climax with the release of their third single ‘Proof’ on infamous house label, Defected. But it was the decision to abandon all pseudonyms and release his distinctive productions under his own name on French Express, in late 2011 that proved to be the turning point in Rathsmans’ career. He quickly established his own genre-defining sound early on with his first release for French Express, ‘Love Is My Middle Name’, a highlight from their second compilation. This was soon followed with his debut solo release ‘Tobago / Feeling You’ which had the likes of The Magician singing his praises when he featured the track in his Magic Tape Seventeen. Further singles ‘Since I Don’t Have You’ and ‘W4W’ continued to catch the attention of Pete Tong who granted Rathsman and fellow French Express artist Perseus, the highly coveted Essential Mix slot, in January 2013. ‘Bringing You Down’ soon followed, after receiving it’s introduction from notable YouTube channel Majestic Casual, it was heavily supported by Zane Lowe and played by every A-List DJ you can think of - this French Express release solidified Rathsmans’ position as the break-through producer to watch out for. He closed 2013 with another defining release - ‘Feel What I Feel’. Having been a highlight of his sets during a summer of touring, the release brought a wave of online support starting from Pitchfork through to YouTube tastemakers, Eton Messy. The release also saw support from national radio in UK, North America, Belgium, Australia and Germany increasing Rathsmans’ international profile. He began 2014 in a similar vein, kicking off the year with remixes for the likes of Tensnake, Brit Award nominees London Grammar and Grammy Award nominee Duke Dumont. This nicely paved the way for his first release of the year ‘Hope I’m Wrong’, which after receiving radio support from Annie Mac on BBC Radio 1 and DJ support from artists such as Kidnap Kid and The Magician, went on to feature in the Beatport Deep House ‘Top 10 Chart’. In July 2014, Pete Tong reaffirmed Rathsman as a ‘Future Star’. The feature would lead to further support on BBC Radio 1 with a ‘Headline Mix’ for Skream soon to follow. With worldwide touring rapidly increasing, so was his fan base with tours across Europe, North America and Australia, supporting the likes of Disclosure, Duke Dumont and Gorgon City. Rathsmans’ year would ultimately be defined by one record - a remix for Brit Award nominee Sam Smith. His remix of ‘Like I Can’ caught the attention of Annie Mac, who instantly premiered it on her Friday night show. The following week, it was selected as Pete Tong’s ‘Essential New Tune’ and continued to grow in the Radio 1 Dance Chart where is crowned #1 on Danny Howard’s ‘Dance Anthems’ show. Rarely do remixes have such an impact. As his own collective and fashion brand ‘Uniforms for the Dedicated’ continues to drive forward, Jonas Rathsman is set for a hugely exciting future and further confirming all notions that this versatile Swede is most definitely here to stay.